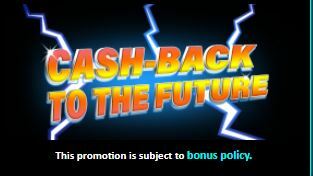 Vegas Mobile Casino UK offers a rewarding cashback bonus that can help you keep the fun going and the prizes coming. Make a deposit of at least 25 Pounds with the code 2018 on December 31st. Start 2018 in the best way with the 25% up to £500 cashback bonus. Use the extra money within 7 days, otherwise they will expire. In order to cash out, you need to wager your bonus 50 times. Don’t let this chance slip away and get the bonus!